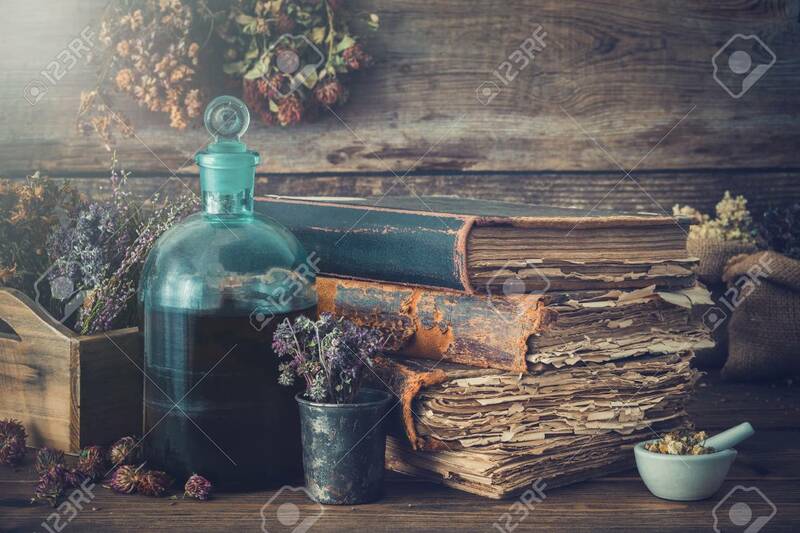 Tincture Bottles, Assortment Of Dry Healthy Herbs, Old Books,.. Stock Photo, Picture And Royalty Free Image. Image 94917849. Stock Photo - Tincture bottles, assortment of dry healthy herbs, old books, mortar, curative drugs. Herbal medicine. Retro styled.